Got an Apple, Mac or iOS tech question? We have the answer. 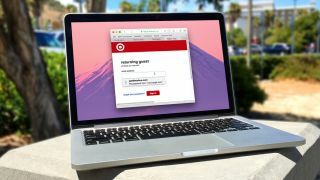 This time we have a reader dealing with problematic AutoFill in Safari for Mac OS X. AutoFill is a super-convenient way to get your personal information into online forms and the like, but it can be a big pain when AutoFill insists on providing the wrong info. Fortunately, there's a way to change this behavior — we'll show you how. Is there a way to control the data used for AutoFill in Safari on my Mac? For example, I want to use my personal information for AutoFill, but my work info keeps coming up! This has been a lingering issue within OS X for many, many years (in fact, since AutoFill for Safari was introduced), and has yet to be addressed. The problem at hand is that no normal person as a single email address, a single phone number, or a single address. We all have work addresses, work phone numbers, and work email addresses. When you have multiple entries in your contact card, however, AutoFill will only grab the first of each of these entries. Rearrange your contact card so that the AutoFill data is the first entry for each of the sections in the Contacts app. Fortunately, there is a way to fix this issue, even if it's a bit of a roundabout solution. Open your contact card in the Contacts app, and click the "Edit" button at the bottom of the card. (Or, from Safari, open the preferences, go to the AutoFill tab, and click Edit; you'll automatically be redirected to the Contacts app.) Ensure that the address, phone number, or email address that you want to be entered by Safari AutoFill is in the first position for each of the data types. This will likely require moving around a bit of data, since fields cannot be dragged and rearranged in Contacts. Once you do this, however, your Autofill data should come in exactly like you want.